A Virtual Phone Number in Australia will turn your company’s image around! Looking to increase your national presence? If you are an Australian business who is looking to increase your local or national presence, a virtual phone number is just what you need! With a local phone number to your name you can help to gain your customers trust by appealing to the comfort that comes from what is known. 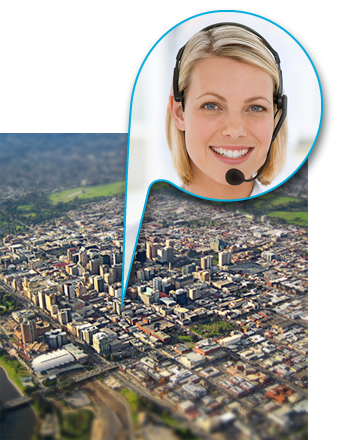 At Virtual Reception we have a huge range of Australian numbers including 1300 numbers and local phone numbers for every major city in Australia. When you sign up, you tell us a few details and how you want your calls answered and we’ll give you a phone number. You can start getting customers to call this number or you can divert your existing number to this one. Simple as that! You can have it all up and running in just minutes. Alternatively, if you simply wish to have a local number that diverts to your existing number, we can make that happen! We are so confident that you will love our telephone answering service as much as we do that we will give you an obligation free 7 day trial. Customers talk to a real person every time. This means that when you get calls from leads they are not reaching a message bank and hanging up straight away to move onto the next contender. Instead, they will get put through to one of our friendly Australian receptionists who will handle your calls professionally and as you wish. Time saving. Get our receptionists to do things such as handle enquiries, gather information, take messages and forward calls onto the correct team member. This means you are able to focus on your business strategy and getting focused, productive work done. You will only get the calls that need your attention, or messages from customers who you can call back when it suits you. Create the image you are after. With numbers across Australia or locally, and calls being put through to an Australian receptionist you can really expand your customer base. Customers will often choose local companies over interstate or overseas companies because they are working within their comfort zone. People from Sydney are more likely to call Sydney phone numbers. It’s familiar and we are creatures of habit. If a lead sees a local or 1300 number, it might just give them the little push they need to give you a call. There are too many benefits for us to list so we’ll let you try it out for yourself. We offer a 7 day FREE trial of our virtual receptionist service, allowing you to find out the amazing things it could do for your company. Sign up is completely free and takes only minutes, we won’t ask for your credit card details and you are under no obligation to continue the service when the week is up. It’s so easy, why not at least try? Why not go national with a virtual address? We have a range of prestige addresses located around the country in first rate office buildings. Image counts in business and you can give your business a prestigious image for a very low price. Why not get a virtual address in all of the major capital cities and take your small business national. When combined with local telephone numbers and our telephone answering services your business will definitely look the part. You can be based anywhere in the world. We have customers located in a variety of different countries. Once you prove your identity to us we can set things up quite quickly. Do you also have 1300 numbers? We can also provide you with a 1300 number for your business. It is purely on a month to month basis. Our customers stay with us because we provide exceptional service. Just call our friendly sales staff on 1300 893 820 and we can get things moving.